This is a re-post of a post I posted in March 2013. March is special to me, for a very self centred reason. 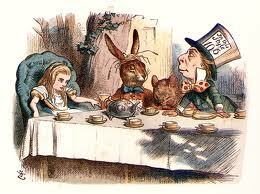 Yes there does seem to be rather an obsession with the creations of Lewis Carroll. Can’t you find any characters of your own, Lenora, rather than plagiarise everybody else’s!? Good grief. Well yes, but I haven’t quite invented anything to do with March, and March happens to be a very important matter in my life. For example, at some point in my life, I shall demand to visit the town of March. Given than my husband to be is also born in March, this does not seem like such a concerning possibility. The March Hare, now, is a very celebrated character and I feel as though he deserves a very special dedication. 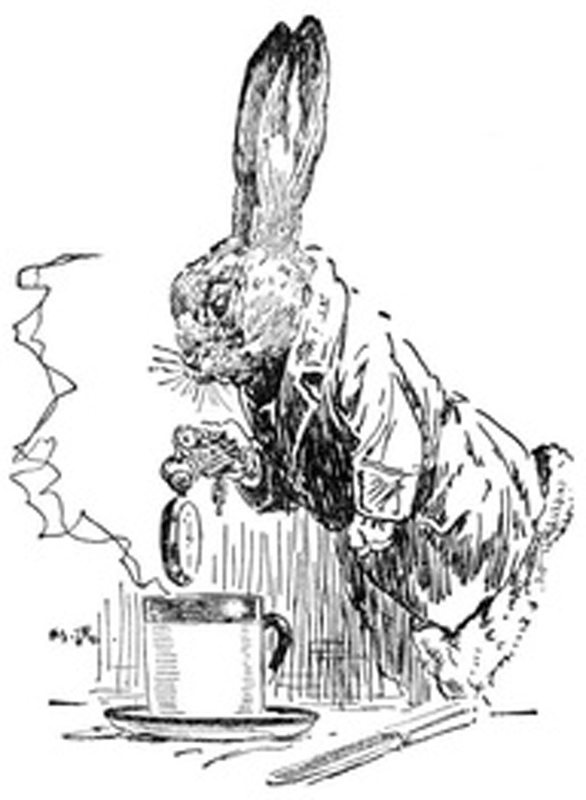 So, here’s to the March Hare, the subtle creature whose madness is rather equal and just as potent as that of the Mad Hatter, whose loyalty to his opinion is disdainfully grandiose, and whose ability to be demeaningly gracious is marvellous to behold, and quite candidly I tell you this, but it is also terribly enviable. Here’s to his dubiousness on whether liking what one gets is the same as getting what one likes. Here’s to his distinctly severe attitude to uninvited sitters at his table, and here, finally, is to his ability to be rather less grumbly than the Mad Hatter, and to possess a likeable amount of gloom and absurdity. ← You have decided to leave some birds in the bushes. You used to want them all.